Good for heart, body and soul! Welcome to Walking and Talking in Ireland. My name is Sean Mullan and I organise and lead the walks. You are assured of a warm welcome, companionship and good walking if you join us. 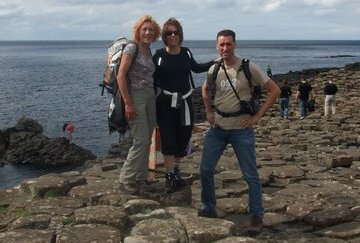 A week’s relaxed walking and talking in two of the most beautiful regions of Ireland awaits you: Antrim, in the north-east, with Scotland on the horizon and Donegal, in the north-west, with the Atlantic on its doorstep. Here you will be part of the Wild Atlantic Way. 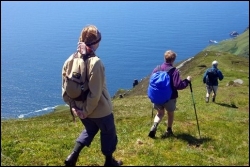 In fact you will enjoy the best walks in Ireland from the Giant’s Causeway, the 8th wonder of the world, to Slieve League, the highest sea-cliffs in Europe. 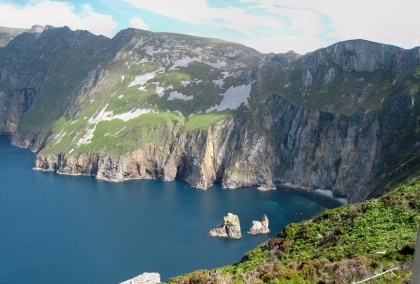 These are two of the most spectacular coasts in Ireland – you will be amazed by the geological wonder of the Causeway and also by the dramatic cliffs and rock formations of Slieve League. 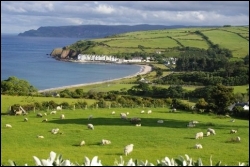 In Antrim you will stay in the pretty and historic village of Cushendun. 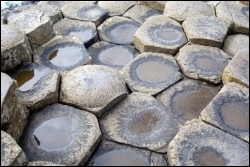 This is one of the smallest of the settlements on the Antrim Coast. With its unique architectural inheritance and beautiful location, it has long attracted artists and poets. It is the nearest harbour to Britain and was one of the principal points of departure for the Scottish Highlands. 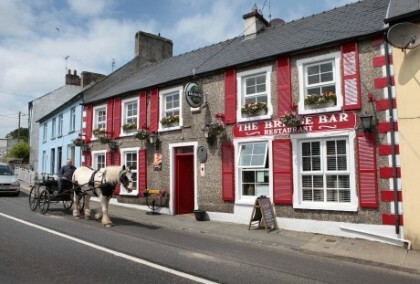 In south-west Donegal you will stay in Glencolmcille where the folk village and the Irish cultural centre, Oideas Gael, add to its attraction. Some people say the valley is an open-air archaeological museum – we will experience this on our walks.